Despite favorable reviews, The National Portrait Gallery of Distinguished Americans never sold very well, probably because of the economic uncertainties that led to the Panic of 1837. Longacre had married Elizabeth (Eliza) Styles in 1827 and now had three boys and two girls to take care of. He was forced to declare bankruptcy and became a traveling book salesman, selling his books from town to town in the South and Midwest to support his family and pay his debts. After he finally emerged from bankruptcy, Longacre returned to Philadelphia and helped found a engraving firm, Toppan, Draper, Longacre and Company. Like the George Murray firm had years earlier, Longacre’s new firm specialized in printing bank notes — a lucrative business in a time when so many new state banks had sprung up around the country. Many in the engraving industry felt that Longacre’s firm was the best bank note engraving firm in the country. Chistian Gobrecht, the Chief Engraver of the U.S. Mint (and Longacre’s former coworker at Murray’s engraving company), died in July 1844. 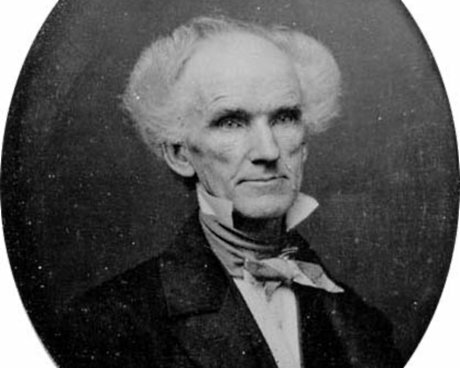 Many prominent engravers began campaigning to replace him, but Senator John C. Calhoun mounted a campaign of his own to ensure that the position went to Longacre. 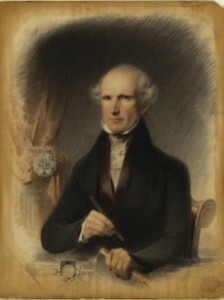 In 1845, President Tyler provisionally appointed Longacre as Chief Engraver, and then when Congress reconvened Longacre was confirmed as Chief Engraver “without recorded opposition.” Longacre later told friends that he was very glad to become Chief Engraver because he badly needed the steady salary. Longacre’s introduction to the Mint was a rude awakening. He later said that to his surprise he found the Mint to be a “hornet’s nest of intrigue, politics, and infighting.” He was immediately greeted with hostility by Franklin Peale, the Chief Coiner, and Robert Patterson, the Mint Director. The reasons were simple. 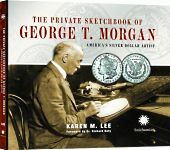 Peale was using Mint resources and Mint personnel to run his private medal company, and both Peale and Patterson were regularly skimming metal from the Mint’s bullion deposits. Longacre was a scrupulously honest man who refused to go along with theft and corruption.